If you are a serious flag collector or if you plan on displaying your flag outdoors, you should consider our line of Nylon flags. 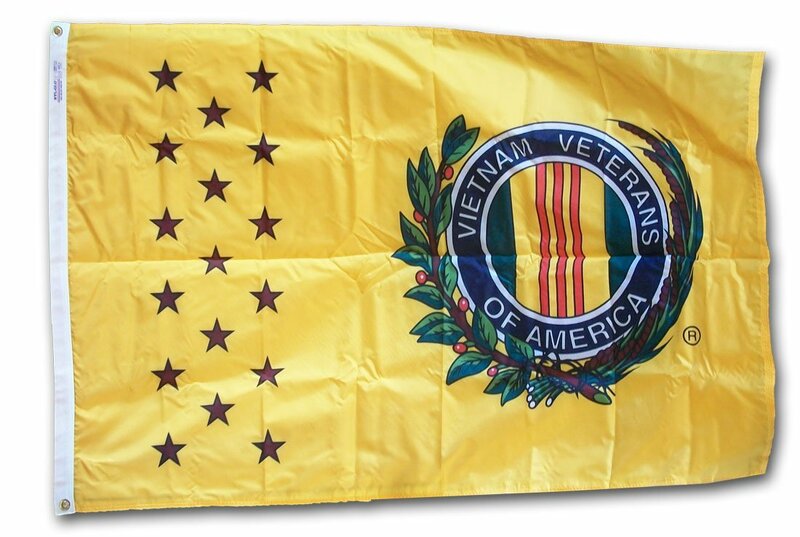 Our Vietnam Veteransflags are made of 100% Nylon, finished with canvas headings and brass grommets, primarily for outdoor use. Nylon flags are heavier than Polyester and stand up well to sun exposure. A Nylon flag provides a longer life of service and enjoyment. MADE IN THE USA!